Note that specs offten mention things like "VPN Support: PPTP Pass-Through" or "VPN Server" etc. These DO NOT NECESSERILY mean that router have VPN capabilities. If unsure, contact us with your router model number, we will check it for you. 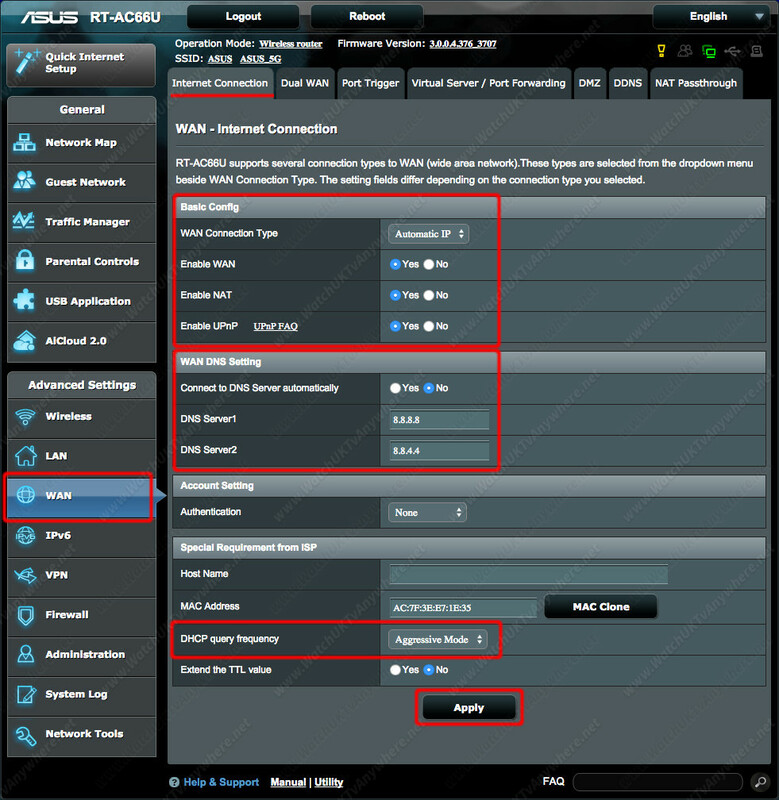 First you will need to login to your Asus control panel. To do so, type http://192.168.1.1/ in your browser and login with your Asus username and password. You will find this information on the sticker on the back of your router. Before we begin the setup for the VPN connection, lets make sure your router is configured to access the internet. 1. Wan Connection type: Select "Automatic IP"
3. Connect to DNS Server automatically: Check "No"
4. DHCP query frequency: Select "Aggressive Mode"
5. Once you have entered all the settings needed, please double-check them (they should be set as in the image below) and click "Apply"